The federally endangered bird, the snail kite, was faced with an interesting dilemma: The island apple snail was good to eat, but about two to five times bigger than the native snail that the bird usually consumed. What’s a hungry bird to do? Evolve — quickly. A study by a team of University of Florida researchers has found that in about 10 years, the snail kite has evolved to develop a larger beak as its new prey, the island apple snail, proliferated and became invasive. The study is published in Nature Ecology & Evolution. From approximately 2000 to 2007, the snail kite experienced major population declines, and there were mounting concerns that the bird was near extinction, Fletcher said. Nonetheless, over the next few years, the snail kite’s population started rebounding, he said. “Monitoring data showed that juvenile kites were surviving their first year of life better, and that several aspects of reproduction were improving,” he said. Researchers found that the birds with bigger bills were surviving, and their offspring were inheriting the bigger bills, which helps the bird dig into the snail’s shell for meat. But was this enough to account for the quick population increase? In addition, genetics plays a big role, Fletcher said. 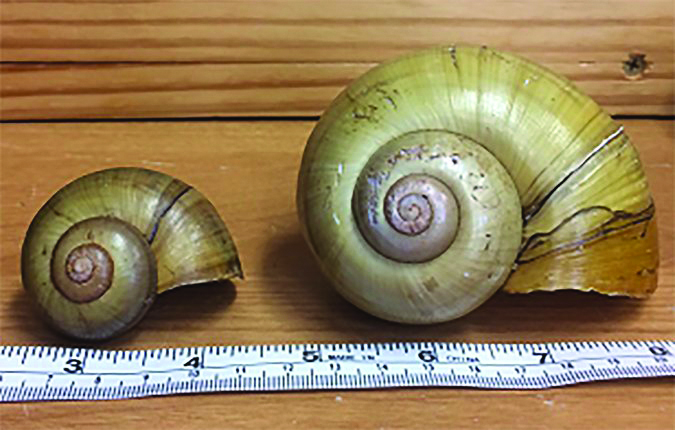 “We found that beak size had a large amount of genetic variance and that more variance happened post-invasion of the island apple snail. This indicates that genetic variations may spur rapid evolution under environmental change,” he said. The implications are astounding, Fletcher said. In the past, scientists believed that larger animals could not respond or evolve quickly to invasive species, he said. “Now, we are waiting to see how this bird will continue to change,” Fletcher said.